As a blogger, you are forced to wear many hats. You’re not “just a blogger”, you’re a business owner, website designer, photographer, content creator, strategist, and marketer. The tasks are never-ending. And if you are trying to see the fastest way to escape them I’m here to tell you that it’s impossible. There will always be something waiting for you to complete. There will always be another blog post for you to write. And there will always be another idea knocking at your door waiting for you to pursue when you’re ready! 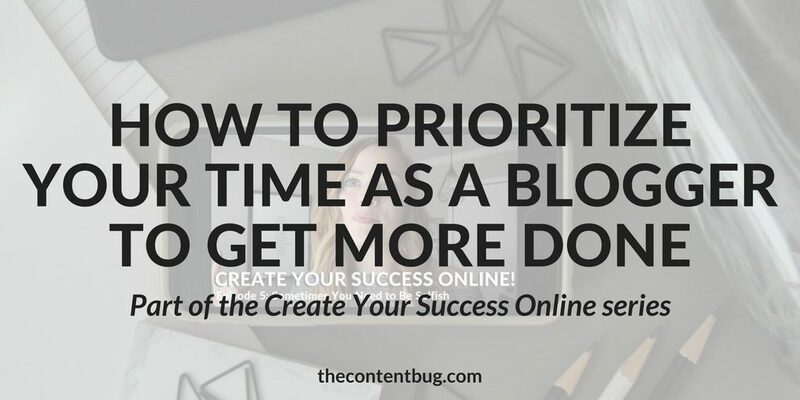 So as a blogger, it’s important that you understand how to prioritize your time so that you can get all the projects you need to get done… done! And I’m going to guess that’s exactly why you came to this blog post today. 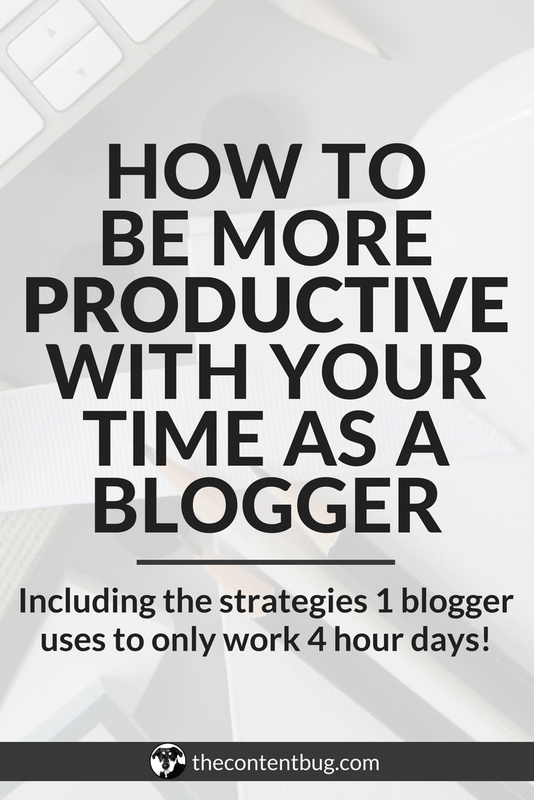 In this post, you’ll learn my strategies on how to prioritize your time and tasks as a blogger to get more done throughout the week. 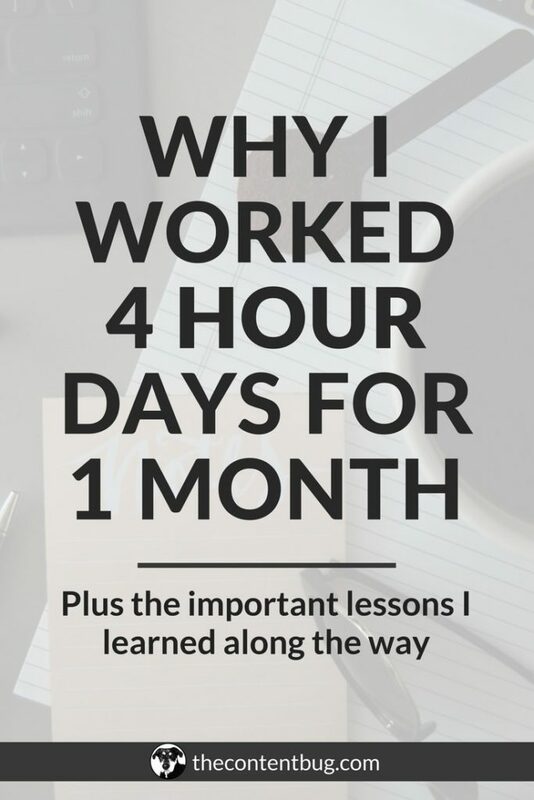 With this system in place, I was able to increase my productivity to launch over 60 blog posts, 2 email courses, 15+ FREE resources, 2 YouTube videos a week and 1 e-course that contains 4 hours worth of video. And I increased the income for my blog to over $2,000 a month within 10 months of launching my blog! 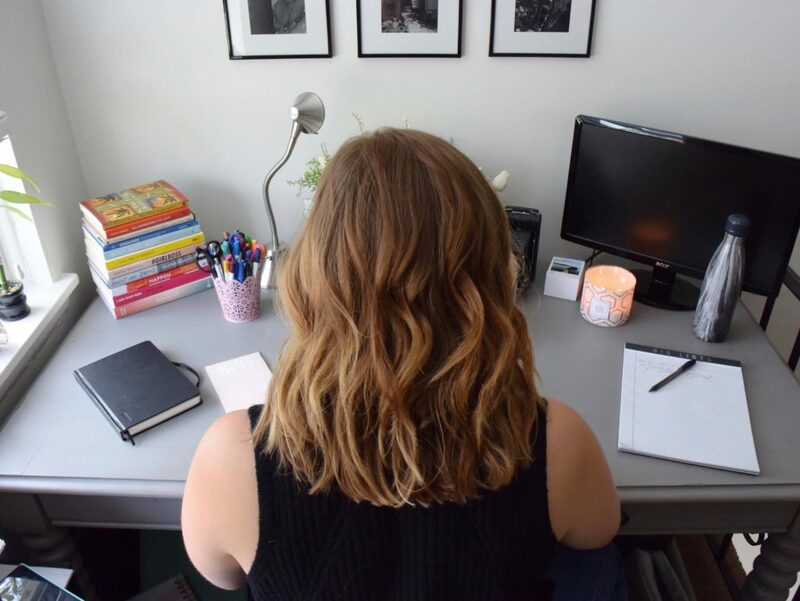 I get a lot of questions from people asking how I’m so upbeat and positive, how I’m able to get so much work done, how I find the time to work on my blog when I’ve got client work to do, and how I find time for myself in the mist of owning a business. And my answer is just about the same every time. We all have the same amount of time in the day. And each day we are given an amazing opportunity to chase our dreams and hustle our butts off. So why should I wait for someone to give me permission to do the work that needs to be done. You are the only person in control of your life. And where you are right now is because of things that YOU have done in your past. Take credit and ownership for your actions. And stop waiting for someone to chase your dreams for you. Because no one else will. As a blogger it may seem like your to-do list is never-ending. There is always something to be done. Another blog post to write, more Instagram pictures to shoot. Whatever seems to be piling up right in front of your eyes may seem like it’s out of your control. But that’s far from true. 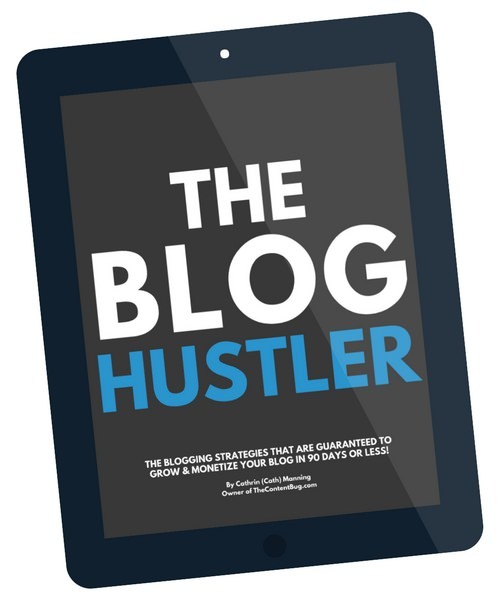 If you’re ready to get serious about your blog and transform it into a profitable business by getting more done in a day, then these tips are for YOU! One of the most common problems that bloggers run into is that they don’t outline their goals so they have no idea how to prioritize the tasks that they need to complete. As a blogger, you need to clearly outline your goals and get serious about those goals! 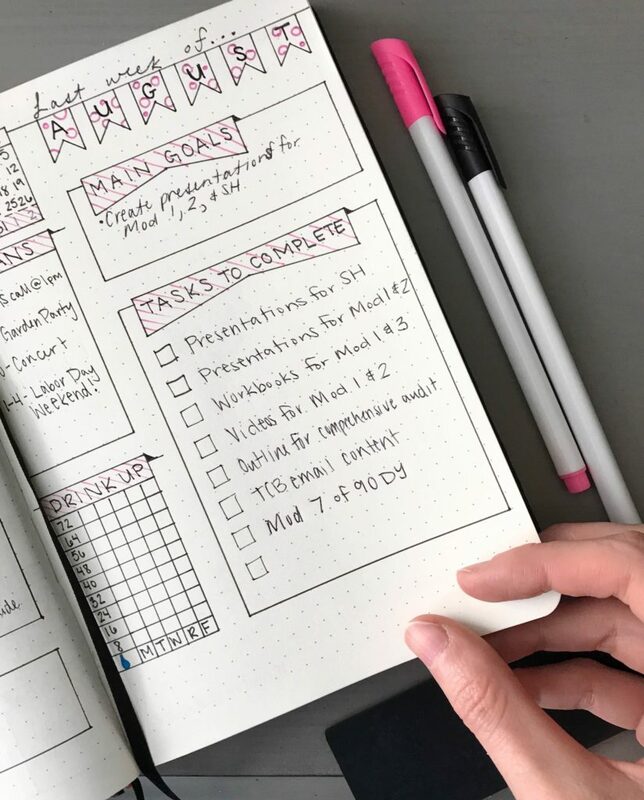 Then and only then, can you determine what tasks you need to complete, when you need to complete them by, and how to properly prioritize time in your calendar to ensure that they get done! Time is money, kid. <- Trust me, I’ve heard that a time or two. I feel like whenever I talk to a successful business owner, they make sure to let a “young, naive girl like me” know that the business world is harsh. Everything revolves around money and if you aren’t helping them make money then the connection isn’t worth it. And boy, oh boy. I could go on for days about this mindset. But it’s the “time is money” phrase that is spot on. How you spend your time is critical to your success. 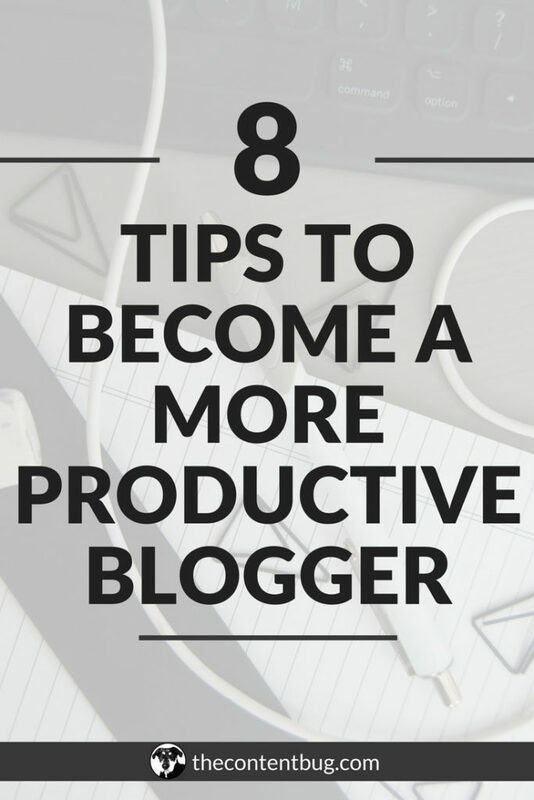 And if you want to be a successful blogger then you need to get serious about how you are spending your time. Do you spend hours a day on Instagram? Or are you blocking off an hour of your time to strategize for the “next big thing” that’s coming to your blog? Back in March of 2017, I got stuck in a rut where I felt like my business was going nowhere. Week after week I would do the same tasks. I would write blog posts, publish blog posts, promote on social media, perform minor tweets to my website, and repeat. And I realized that I wasn’t seeing any real progress on my blog because my tasks were all low-income level. And by that I mean they were a small dollar amount. I could hire an intern for a college credit and they could be doing the work for me! It was that easy. I wasn’t taking the time to work on any high dollar tasks such as creating new projects or strategizing the growth of my blog. So you wanna know what I did? Huh?! Do ya, do ya?! Well, I started to track the monetary value of my time. I have tasks that are worth $10/hour, $25/hour, $150/hour, and $500/hour. And my goal each day is to hit $450 as the worth of my time! So I have to plan my tasks accordingly to hit that goal! That means that I can’t spend 3 hours a day surfing through social media saying it’s “research”. I actually need to put in the work to reach my goal. 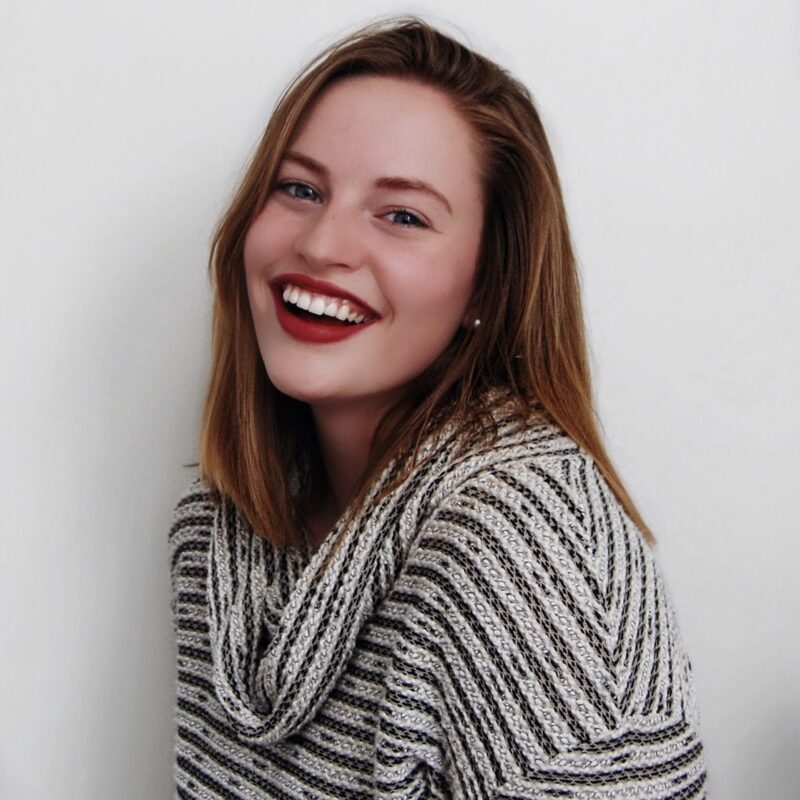 And since using this method, I launched my VIP resource library with 15+ resources included, created a social media email course, an SEO email course, a LONG content writing e-course, launched a YouTube channel and a Facebook page, I’ve been featured in another blogger’s paid online course, and I’ve also been featured on a couple other websites. And the majority of that stuff happened in just 90 days. Just like I said I was doing before… Every week you write blog posts, take photos, market those blog posts, respond to emails, comments, and DMs, yet you don’t understand why your blog isn’t growing. Sometimes, just putting out amazing content isn’t enough. And I can confidently tell you that doing the same tasks over and over again is only helping you to spin your wheels without any forward momentum. You need to mix it up a bit. Step outside of your comfort zone. Do something you’ve never done before. Talk to a stranger. Host a coffee date with a fellow blogger that you love on Instagram. Create a new product or launch an email list. Growth isn’t going to happen when you are stuck in a rut. It’s just not. You need to break out of your shell and do something really amazing to get people’s attention. 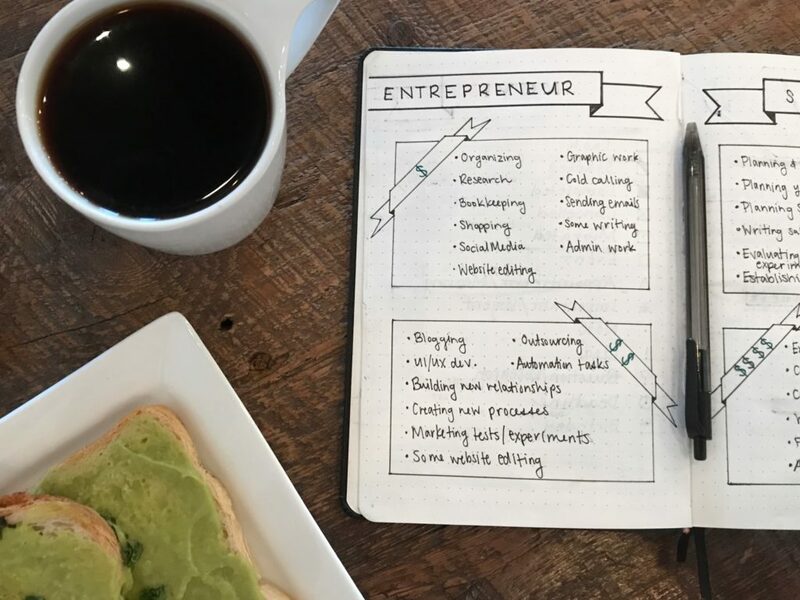 So the next time you go to set up your weekly to-do list, ask yourself if this is the same stuff or if you are working toward another level of growth! The things that may appear to be the scariest are probably the ones that you should do first. Make it a priority to stop doing the same tasks over and over and start doing something that will truly be worth your time! Did you know that you actually waste more time by trying to multitask? This surely shouldn’t be surprising to you. But if you say that you’re a “great multitasker”, the truth is that you’re probably just half-assing just about everything that you do. I know, I know… harsh. But sometimes you need a wake-up call, my dear. And I used to be that person. I would try to listen to podcasts while I wrote my content. But then I started to notice that my work was poor and my ideas weren’t actually mine. They were something that streamed from the podcast. I would also try to watch YouTube videos while I created my strategies for my business. Again…silly, Cathrin. And then I learned of a thing called context switching. This means that when you switch between tasks your brain actually takes a little while to make the switch. It can’t go from writing blog posts to shoot videos in a few seconds and be running at top notch! It needs time to refocus and understand what you want to work on now. It’s better to theme your days and batch your work so that you only work on the same material to be the most productive. On Monday’s, I work on everything related to content creation. So I try to wake up in the morning and start with writing blog posts. This could mean that I write 2 blog posts or 5 blog posts. It just depends on my level of creativity and drive to get the work done! Then in the afternoon, if I have to, I’ll shoot a video for my YouTube channel. And then at night, I’ll finalize my blog posts for the week and get them ready for launch. And each of these different tasks is broken up by my meals. That way my brain has time to transition while I’m eating and get refocused when I need it to. Everything I do on Tuesdays is geared toward marketing and setting up the appropriate automation. So that means that I take the time to schedule posts on my social media channels and perform the needed work to market my most recent blog posts. I also take the time to research new ways to market and even start marketing in those ways. Remember when I told you that I accomplished a whole list of things just by understanding the value of my time? Well batching my work also helped. Because every Wednesday I block off the time to work on new products, resources, and other ideas that may pop into my head. I typically end these days with well over a $2,000 value of my time! If I have a meeting to schedule, I try to always schedule it on a Thursday. These are the days that I know I need to be in the zone for communicating with people. So if there are emails that I need to reply to, I do that on Thursdays. And if there are opportunities I want to seek for my blog, I’ll do that on Thursdays. This day is mainly focused on other people, while also seeing how I can grow my blog along the way. Just as it sounds. At the end of the week, I like to recap what happened. What went well and what lessons did I learn? And then I’ll review the tasks that weren’t completed and try to see if I can finish them that day. If not, then I schedule the next week’s tasks and set myself up for success. By showing you my schedule, I just want to lay it all out on the line for you guys. I have nothing to hide! And let me tell you… theming your days and batching your work really works! You may create a schedule that looks significantly different from mine… and that’s okay. If you need to spend a whole day working on your finances, then do that! Just make sure that you block the time to get the tasks done that you need to get done! It’s easy to dream up these big ideas for your blog but it’s harder to actually put in the work to fulfill them. One of the questions that I’ve gotten a lot recently on Instagram is how I hold myself accountable. But that’s such a broad question! So today, I’m just going to talk about how I hold myself accountable with my goals and the tasks on my to-do list. If you don’t have a proper system in place to hold yourself accountable for the work that you need to complete, then the work might as well never get done. It’s so easy to put it on the back burner or forget about your to-do list completely. Back in March, I spent a lot of time doing tasks that were not worth my time. I was constantly performing website changes and researching custom coding to make my website “better”. But I wasn’t spending any time marketing to actually get people to see my website! It was just a waste. So I decided to buy a productivity journal to start getting more done. And in this journal, it had me lay out my top priority tasks for the week. What did I absolutely have to get done, come hell or high water? Then it asked for my secondary tasks. These were the things that I should get done, but if not, it’s really not going to hurt my blog. I would just be proud to have completed the priority tasks. That would mean that I had a successful week. And with this system, it helped me to hold myself accountable to actually get the tasks that needed to be done, done! Now I use a slightly different system. I lay out 2-week sprints for myself that outline my goals for my blog and the tasks I need to complete in those 2 weeks to achieve those goals. Then I layout these tasks in my weekly spread in my bullet journal and place them on the appropriate days based on the type of work that’s required. But you want to know what? The best accountability tip I have for you guys is to hold yourself accountable. Easy, right? With each task that I place in my 2-week sprints, I know that they have to get completed. No excuses. No matter what. I will complete those tasks even if I have to work super late on a Friday. If your goals really mean a lot to you, and you are determined to reach them, then you need to understand that the tasks required to reach those goals are non-negotiable. Although this may not be the best tip to prioritizing your time, it’s still an amazing tip related to everything else we’ve talked about, okay?! One of the best tasks I’ve implemented in my weekly business activities is to perform a weekly review and a 2-week sprint review. That means that every Friday I look back and see what I accomplished, what I learned, and what brilliant (or not so brilliant) ideas I came up with. And then every 2 weeks I look back and see what’s working on my blog and what’s not working. This also means looking at my work habits and my life in general! 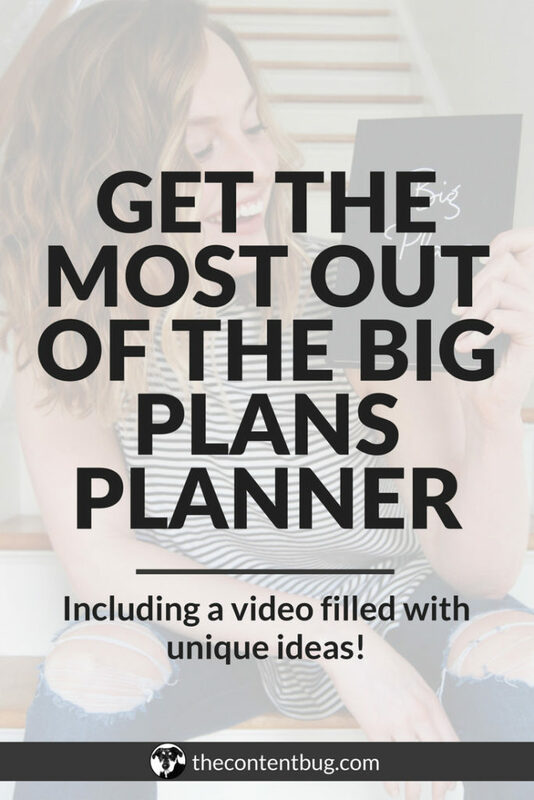 If you want to get serious about prioritizing your tasks, this is a must! You may not notice that having your phone in your office is a bad idea until you do a review and see that it’s hurting your productivity. This is also where you will notice if you are spending too much time on low-value tasks instead of high dollar. And this is where you’ll encourage yourself to keep pushing forward when you see how much you’ve accomplished! 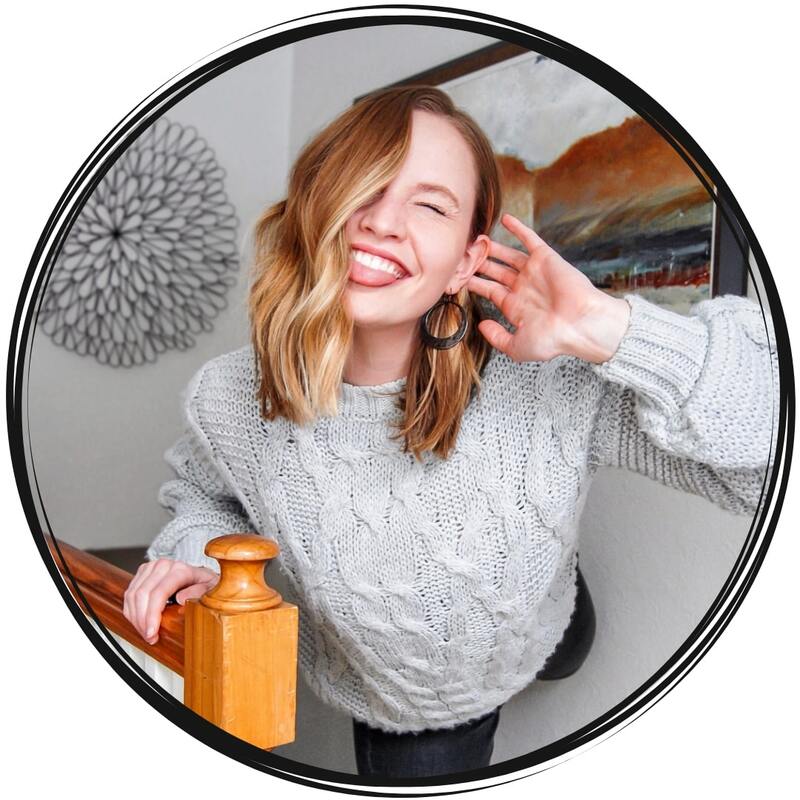 Have you ever considered that you may not be completing the tasks you need to grow your blog because you don’t take yourself seriously? I see it way too often where people question their worth wondering if they are even good enough to start a blog or make their success online with their blog. And the problem is that they aren’t taking themselves seriously. If you are at the end of this post, still reading to soak up as much information as possible, then you are freaking worth it, my friend! You are putting in the time, you are showing the initiative, and you want so desperately to grow that you are willing to learn. And having a will to learn is everything. So talk highly of yourself, take your goals seriously, take yourself seriously, and take your tasks seriously. Your success is inevitable is the tasks you lay out are non-negotiable. But this is important. If you really want to grow your blog then you need to learn how to prioritize your time and the tasks in front of you. And hold yourself accountable by using a journal and performing regular reviews. Now that’s enough talking from me. It’s time to put my money where my mouth is and start working on some higher income work!